The origin story of Earth is a tale of God-like cosmic forces and geological timespans so colossal they are almost unimaginable to our puny brains. According to flat-Earthers, the results of this mysterious astronomical inception might look a lot like a fried doughy piece of confectionary. Abandon all scientific reasoning for one moment and consider the idea of a flat Earth. One of the first questions you’ll be confronted with is how nobody has ever fallen off the edge. Well, fear not, there’s an answer to that. The hypothesis was recently published in the prestigious peer-viewed journal Nature by planetary scientists from MIT (just kidding). The theory was posted on a Flat Earth Society forum back in 2012 by Varaug, who boldly notes: “I have a theory that the Earth is in fact shaped like a torus (a donut shape).” He also provided a handy little FAQ in case anyone was slightly boggled by the eccentric theory. “Logically, it is possible for a torus-shaped planet to form, so we cannot rule out the possibility that the Earth is shaped like a torus, and therefore the hypothesis must be considered as a potential model,” they added. That’s right, donut-shaped. 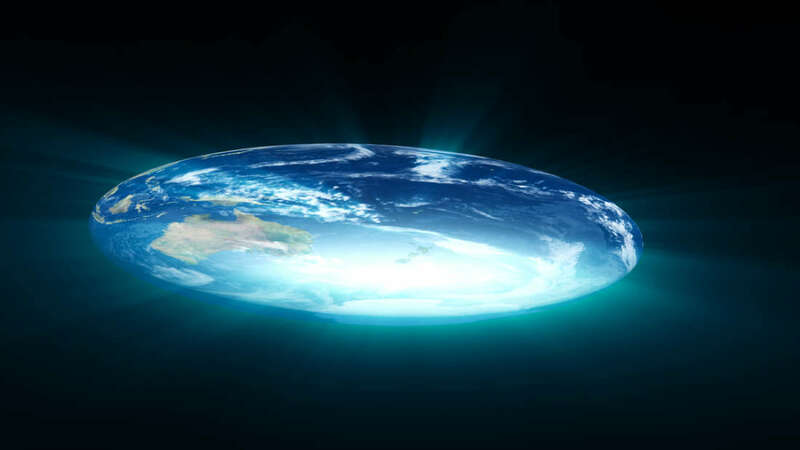 While that might account for why no one's ever sailed off the edge, it doesn’t quite explain why people in the center of the torus wouldn’t look up and see Earth. However, Varaug’s got an explanation for that too. They argue that this “light bends and follows the curvature of the torus,” thereby making it impossible to see the hole. In all fairness, they do note that their theory is just for “fun” and welcome anyone to point out flaws in their argument. Equally, you should never shy away from a ridiculous thought experiment if it helps to flex your brain and test your reasoning skills, such as the recent Twitter discussion about what would happen if we sent a werewolf to the Moon. However, we should be clear, the Earth is not donut-shaped by any reasonable stretch of the imagination.